I Left My Heart In...Singapore! When a job allows you to travel, it's so exciting and can be so magical. Getting that call from your agent telling you that a show is opening somewhere you've never travelled to and they want you! Or that the show you're already in is jetting off over seas...there's nothing quite like that thrill. I've only had it happen twice. Once when Les Mis opened in Dubai on the final leg of its international tour and they needed a new Eponine. Once when the UK tour of The Addams Family had been invited to the MES Theatre in Singapore. We've arrived! Tech run is on the go! However, Singapore...ugh! I would go back there in a heartbeat. Quicker, even. In fact, I think I left a piece of my heart there when I came home to London. When you're working, it's hard to explore no matter where you are. Even in your home country. You want to spend days off resting from the show but then you feel like you're wasting an opportunity to explore somewhere you may not get back to for a while! We had just over four weeks in Singapore and originally, a big group of the cast had planned to fly on to Bali for a week after we finished the tour. We'd found an amazing villa in Ubud on Air BnB, we'd all booked our flights...and then that sodding volcano erupted! We called a meeting one night after a show and decided it wouldn't be wise to fly to Bali when half of Bali had evacuated and were flying in the opposite direction! As our flights home were arranged by the shows production team, they'd very kindly agreed to push our flights back a week for our holiday but they could only fly us home from Singapore and, obviously, wouldn't cover the extra cost of flying is straight home from Bali. So, the plan was to go from Singapore to Bali, spend a week having a marvellous time, then fly from Bali to Singapore and Singapore to home. The volcano really scuppered our plans. After calling up the airline, we discovered it would cost £600 each to change the flights back to their original date. So, instead, we all decided to spend the week we would have spent in Bali, in Singapore doing all the exploring we had missed out on whilst working (and all the while, desperately trying to get some of our money back on the flights and Air BnB in Bali...!). It was such an incredible week. It was technically the first holiday Oliver and I had as a couple (although we still weren't officially official back then but...good as!). We consolidated all of our stuff into one room and spent the week eating, drinking, talking, relaxing and exploring. Here are some of our favourite places. We found this amazing little brunch/coffee place just a short walk from our hotel. It was a little bit pricey but the food was beautiful. As was the coffee. 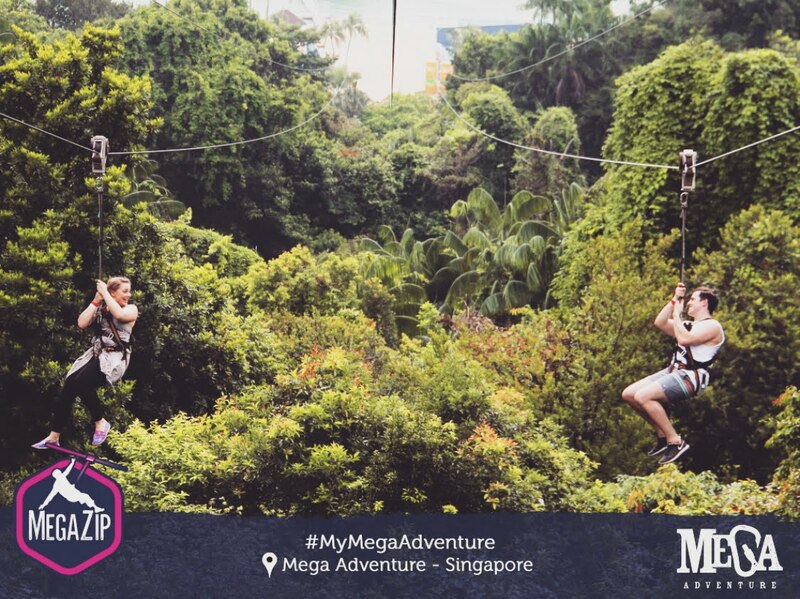 We visited Sentosa Island for a day to do the Mega Zip Wire. It's 75m high and over 450m long! Oli and I were all rigged up ready to go. 3, 2, 1...I got released and as I looked to my left, Oli was stuck! His wire had jammed and so he had to be unclipped and moved over to the next wire. I was so gutted! When I got to the other end, I waited for Oliver and one of the staff realised we hadn't gone together and very kindly gave us passes to go again. Second time around, success! Oli and I came here for brunch/lunch almost every day. It was much cheaper than Common Man, the food and coffee were just as good and it was closer to our hotel. The only issue was that you had to sit outside and the Singapore heat made that kinda hard a lot of the time! One day, a couple came and sat at the table behind us with a very friendly Samoyed dog who sauntered over and sat at my feet. I grew up with a Samoyed called Christmas so it made my day to get to cuddle one! A few people tweeted me about this place so near the end of the trip, I dragged Oliver out with me. It's a tiny shop that sells lots of books that I recognised from home but it has it's own small publishing house called Maths Paper Press! They specifically publish local authors so I picked up a few books by Singaporean writers and thoroughly enjoyed them. There was also a book vending machine outside. You paid around $15 and chose from a selection of books, all wrapped in brown paper baring their theme in black sharpie on the front. I think I went for "mystery"? The pure joy of a book vending machine is quite something. Now this place...aww man this place was our place. Every night off from the show and every evening in our week of holiday, Oli and I were in this bar. They had three kitchens for three different cuisines (Indian, Thai and American), did cocktails by the jug and beer in these giant, two litre dispensers that they brought to your table. They played football matches on the TV, had good wifi, lovely staff who gave us the same table every time we went in and the food was the best food we had in all the time we were in Singapore. We often find ourselves talking about it and wishing we could go back there for dinner, just for one night! After our extra week in Singapore, our flight home was cancelled and so we had to stay yet another extra day. I had a little freak out because I was scheduled to start rehearsals for The Christmasaurus and definitely wouldn't be making it. There was nothing to be done except extend our rooms for another night and make sure we were all booked on the next flight in the morning. I'm such a worrier so I decided to take my mind off of the craziness and go and get my nails done! I never get manicures so it was the only thing I could think of that would be a proper treat. I googled a place and found one that had an available space and got myself in a cab. When I arrived at this little mall, it was full of nail salons and tattoo parlours, one after the other! I was early for my appointment (of course!) so wandered around and took a shine to this one tattoo parlour in particular called Johnny Two Thumbs. All the way through getting my nails done, I was convincing myself to be reckless and get a tattoo. I knew exactly what I wanted. I'm big on Origami (although not too great at it!) and when we had visited Changi Prison Chapel, we found hundreds, if not thousands, of origami cranes. Schools often visited the prison on trips and brought with them Senbazuru (garlands of origami cranes) to hang in the chapel. The Japanese believe that if you make 1000 origami cranes, you will be granted a wish. The Senbazuru in the prison were a sign of peace, good will and wishes for the surviving family of the prisoners kept at Changi. To commemorate my time in Singapore and to contribute to the world's supply of wishes, whilst my nails were still wet, I ran to Johnny Two Thumbs and got my origami crane! Oli was a little surprised when I came back to the hotel with more than just painted nails...! I think of Singapore with such love and affection. I'm sure I'll find myself back there one day. Until then, the memories will have to do! Your writing flows so effortlessly! I love reading your blog, it's really relaxing and inspiring at the same time. 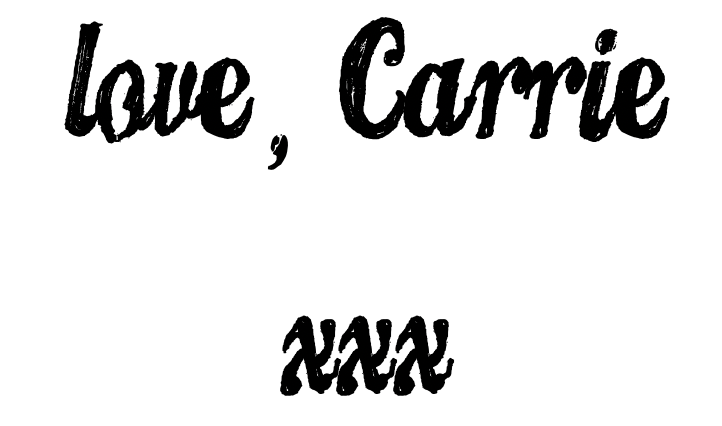 I love the idea of just getting a tattoo on a whim. The wish aspect sounds amazing too! 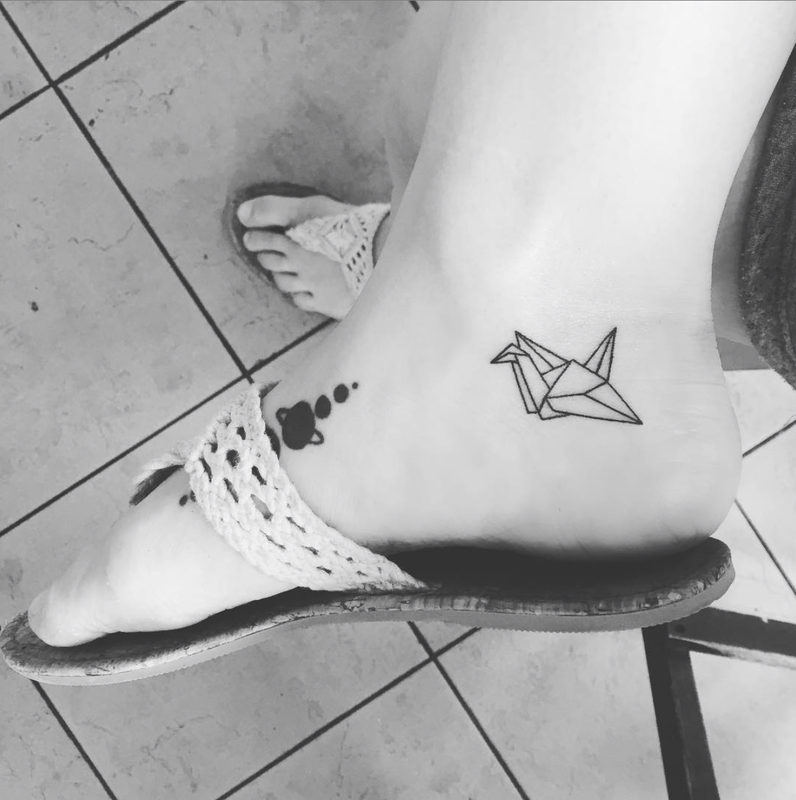 Do you think about the symbolism often or did it just become another part of you? Apologies wrong place to make this comment but just clicked on the podcast to the side when my negative/anxiety thoughts were getting too much while doing chores. It kept them at baby while I worked. I like how you guys throw in research/facts about Betty Boop and Hysteria I feel like I'm learning something while I listen its great! Singapore is where half of my family are from, and still live! In 2017 I missed you guys in addams family by a couple of days because I had to come home to the UK. Singapore is absolutely stunning and if you go back, check out Platform 1094, it's a Harry Potter restaurant and is magical �� the goblet of fire cocktail is beautiful. When visiting, we went to the Refinery which is owned by my cousin and I 100% suggest visiting just for the aesthetic and the truffle sea weed fries!